Plans to pursue continuing education in vestibular rehabilitation. Kelly is originally from Lawrence, KS and grew up playing sports, including soccer, cross country, and track. Although she is a diehard Jayhawk fan, Kelly decided to attend the University of South Carolina where she received her B.S. in Exercise Science with a minor in Psychology. Kelly’s experience at South Carolina gave her the opportunity to work with young children on developing motor skills and to work with adults that wanted to lead a healthier and more physically active lifestyle. 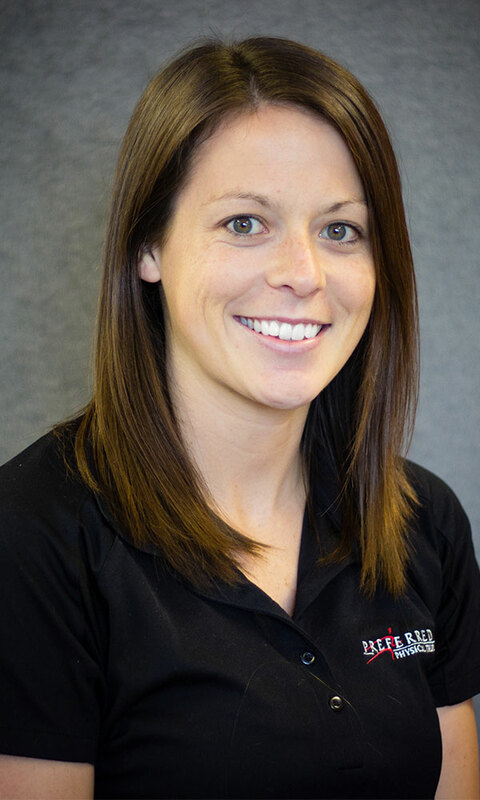 Through these experiences, Kelly discovered her passion for working with people on developing and reaching their goals and decided to pursue Physical Therapy school after completing her degree. Kelly attended the Universtiy of Kansas Medical Center where she received her Doctor of Physical Therapy in 2016.